He has a personality , friendly and loving , especially with his girlfriend. Likes: Girl clothes , Cold Desserts , Tattoos , Gifts ( especially when the giving gifts ) , Jewelry, Music, Guitars ( he has a guitar), and Love. Dislikes:Senseless violence , darkness ( he is afraid of the dark) , weapons , hats , spicy food , loneliness. Iceberg born in a family of high society and always had a long line of clothes, but did not like boys suits and clothing. For some reason loved more dresses, tights and any clothes outside girl, resulting in contempt of their parents, but over time they learned to accept their behavior , now you have a long line of dresses and cute girlfriend which loves it as it is, that does not care how it looks on the outside if it is not how you feel inside. A Leafeon named Amelia . His body is equal to a Glaceon Shiny . Besides having a heart -shaped tattoo near his right eye. 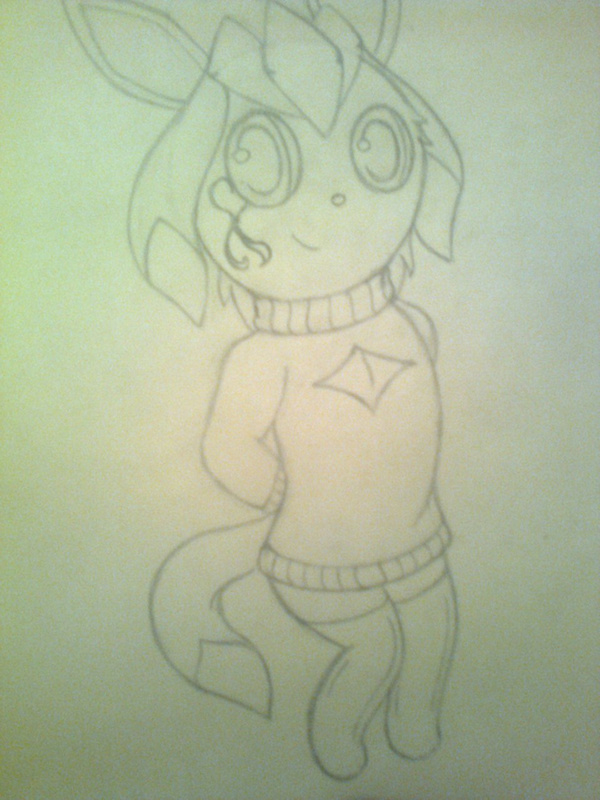 Iceberg is one of my new characters, is characterized as a Glaceon , with very particular qualities. Although being a boy , Iceberg from small , feels an attraction to women's clothing , and not ashamed to use it . But he is not gay, and he has a girlfriend which accepts it as is , although its most perverts, games are the most provocative. Even with his tattoo, he has a very strong will and is dangerous if he gets angry.